Among fruit-producing bushes the berries of Shepherdia (Hippophae rhamnoides) contain the most vitamin C (500-900mg/100g), besides being rich in other vitamins (B, E, F), microelements (Ca, Mg, Zn, Ti), organic substances and unsaturated fatty acids as well. Vitamin E content of Sheperdia . (202.9 mg/100 g fruit) is higher than that of wheat, corn or soy-beans. According to recent research its water-soluble yellow flavonoids, valuable vegetal oils and fats and favourable physiological effects are emphasized. 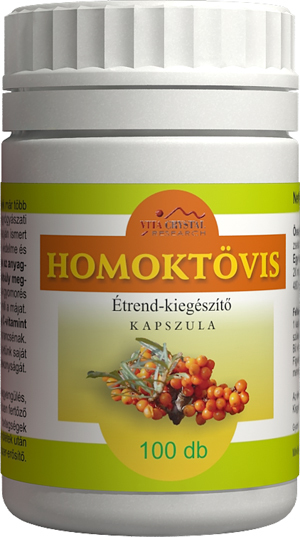 It protects and strengthens immune system, having fat-solvig properties, enhancing metabolism and supporting to keep ideal body-weight. .It benefits stomach and duodenal ulcers, protects liver, inhibits hair-loss and slows down formation of wrinkles. It strengthens connective tissues, reducing the formation of cellulitis this way. The fruits are rich in carbon hydrates, proteins, organic acids, amino acids and vitamins. Their vitamin C content is outstanding, comparing to lemon it is 10 times as much as that of lemon. Vitamin C concentration of the fruits of Shepherdia is higher than that of strawberries, kiwi fruits, oranges, tomatoes, carrots or thornapple fruits/myrthleberries. Shepherdia was used to treat several diseases by Tibetan doctors living in China more than thousand years ago. It was registered in Si Bu Vidian as a classical Tibetan medication by the end of the VIIIth century. Thornapple is less known by wider population in Hungary, despite this noble plant can be found by the larger riversides for centuries. It is cultivated in parks and gardens nowadays, plants from Tibet or Russia of shrub-size are used for this purpose, as its beneficial power was first dscovered by oriental medicine.